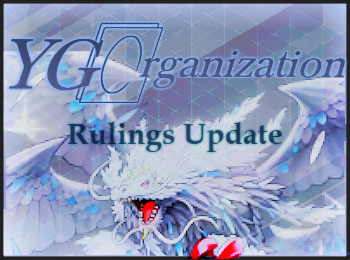 Recent rulings updated to the database. Q: When I activate Soul Unseal, but my opponent chains Imperial Iron Wall, how does the effect resolve? A: In this scenario, since Soul Unseal resolves while the effect of Imperial Iron Wall is applying, its effect is not applied. (No part of the effect is applied.) Also, while the effect of Imperial Iron Wall is already applying, Soul Unseal cannot be activated. Q: When I activate Soul Unseal, but my opponent chains Mistake, how does the effect resolve? A: In this scenario, since Soul Unseal resolves while the effect of Mistake is applying, its effect is not applied. (No part of the effect is applied.) Also, while the effect of Mistake is already applying, Soul Unseal cannot be activated. Q: When I activate Soul Unseal, my opponent chains Conscription. If the top card of my Deck is a Normal Monster that is Special Summoned to my opponent’s field by the effect of that Conscription, and I only have 4 Normal Monsters in my Deck as a result, how does the effect of Soul Unseal resolve? Q: A face-up Potato & Chips is the only monster on my field. If I activate Farm Delivery, but my opponent chains Compulsory Evacuation Device and returns Potato & Chips to my hand, how does the effect resolve? Q: Can I Special Summon Cyberse Gadget with the effect of Platinum Gadget? A: Cyberse Gadget is a Level 4 “Gadget” monster, but is not a Machine-Type monster. Cyberse Gadget cannot be Special Summoned by the first effect of Platinum Gadget, but it can be Special Summoned by its second effect. Q: During the Main Phase 1 of my turn, I Link Summon Platinum Gadget. During the Battle Phase of this turn, that Platinum Gadget is banished by the effect of Galaxy-Eyes Photon Dragon and then returned to the field again at the end of the Battle Phase. Can I use Platinum Gadget as a material for a Link Summon during my Main Phase 2 this turn? A: In this scenario, even if a Platinum Gadget was banished and then returned to the field by the effect of Galaxy-Eyes Photon Dragon during the turn it was Link Summoned, it cannot be used as material for a Link Summon this turn. Q: My Supreme King Dragon Starving Venom gained the name and effects of Black Luster Soldier – Chaos Soldier, and activated its effect that makes it gain 1500 ATK. After the End Phase of this turn, when Supreme King Dragon Starving Venom loses the gained name and effects, what happens to its ATK? Q: My Supreme King Dragon Starving Venom gained the name and effects of Black Luster Soldier – Chaos Soldier, and activated its effect that allows it to attack twice during the Battle Phase of my next turn. After the End Phase of this turn, when Supreme King Dragon Starving Venom loses the gained name and effects, will it still be able to attack twice during the Battle Phase of my next turn? Q: The only cards on my field are a Harpie Conductor in my Monster Zone and a Set Torrential Tribute in my Spell & Trap Zone. In this situation, when my opponent Normal Summons a monster and Torrential Tribute is activated, can I apply the effect of Harpie Conductor that prevents it from being destroyed by destroying a Spell/Trap Card on my field instead? Q: When activating the effect of Brotherhood of the Fire Fist – Leopard, can I apply the effect of Brotherhood of the Fire Fist – Eagle? A: The effect of Brotherhood of the Fire Fist – Leopard is activated by Tributing a “Fire Fist” monster on your field. When activating its effect, you cannot apply the effect of Brotherhood of the Fire Fist – Eagle. Q: My PSY-Framelord Lambda is in the Extra Monster Zone, and my PSY-Frame Driver is face-up in my Main Monster Zone. In this situation, if my opponent activates the effect of their PSY-Frame Overload and banishes my PSY-Frame Driver face-down, can I then activate the effect of PSY-Framelord Lambda? A: If a face-up Psychic-Type monster in your Monster Zone is banished face-down, as in this scenario, you cannot activate the effect of PSY-Framelord Lambda.